The Moy Life: Nemo, Just Keep Snowing, Snowing. Nemo hit us last night, not nearly as much as some people fared up in CT and NY. A good 4 inches or so out there on the ground. 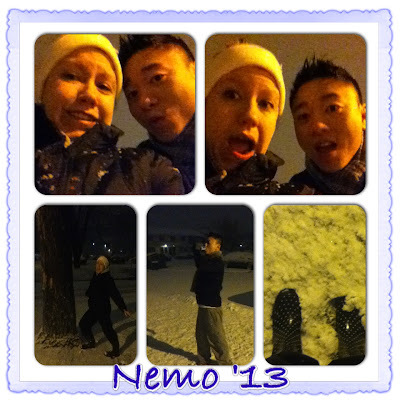 But we decided to have a snowed in Friday night...even ventured out for a little snow walk. Might have even saw a raccoon cross out paths..or an opossum. Not sure which but definitely not a cat. Enjoy your snow filled weekend!